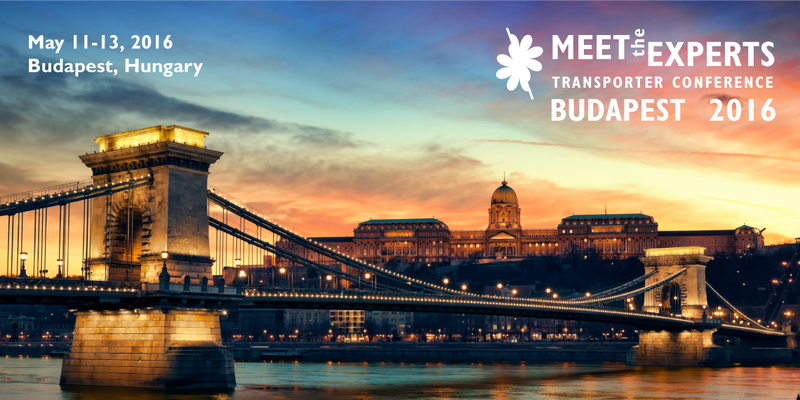 After San Francisco,Tokyo and Boston, the Meet the Experts Transporter meeting is returning to Budapest in the spring of 2016. The Meet the Experts Transporter meeting is focused on bringing you the latest developments in the field of transporters, covering a wide range of topics. Previous meetings included symposia such as Methods and Models, The Physiological Function of Transporters, The Role of Transporters in Disease, Transporters in Drug Discovery and Development and Transporter – Enzyme Interplays. Each symposium consists of presentations by speakers from industry and academia, combining fundamental research with practical insights, followed by an interactive Q&A session. The meeting’s main conclusions, presented novelties and future directions are summarized by Peter Krajcsi, SOLVO’s CSO. The Meet the Experts Transporter conferences are relatively small meetings with 70-100 participants, and offer plenty of opportunities for networking with colleagues in the field or personal interaction with the speakers. Being held in Budapest, the 2016 spring meeting also provides a unique opportunity for you to meet SOLVO’s scientists, project managers and study directors. Dr. Lassina Badolo is graduated Pharmacist from Free University of Brussels and took his PhD from the same university. Lassina has both an industry and academia background spending more than 13 years in the industry and 2.5 years as associate professor at the University of Copenhagen. The focus of his research has been on investigating hepatic drug transporter in isolated hepatocytes, assessing the change in function and expression in different culture conditions. 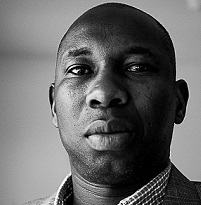 Lassina has published more than 25 papers and presented his research as invited speaker in more than a dozen conferences. He has directed a number of master and PhD projects during the last decade. Lassina is currently employed in Discovery DMPK at Lundbeck AS as principal scientist. Dr.Cynthia Bosquillon is Lecturer in Drug Delivery at the University of Nottingham, School of Pharmacy, UK. She obtained her Master of Pharmacy and PhD from the Université catholique de Louvain, Belgium. Following her PhD, she worked as a post-doctoral researcher at King’s College London on a project directed by Prof.Ben Forbes before being awarded a 2 year fellowship that she undertook at the same institution and finally, being appointed to a lectureship at Nottingham. Her research has essentially focussed on drug inhalation, of which she has explored different aspects, from the formulation and characterisation of dry powders to the development of in vitro and ex vivo models of the lungs as tools to predict pulmonary drug absorption in vivo. She has published two book chapters and more than 20 papers in the field, including the first review on drug transporters in the lungs. She has collaborated with the pharmaceutical industry on various lung projects and has been invited to talk at several national and international meetings. 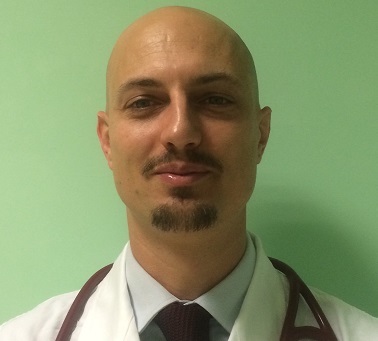 Dr Calcagno is temporary Assistant Professor at the University of Torino (Department of Medical Sciences, Infectious Diseases). Infectious Diseases Specialist (University of Torino, Italy); Diploma in Tropical Medicine and Hygiene (Mahidol University, Bangkok, Thailand). He is member of the Panel of the Italian Guidelines on the Use of Antiretrovirals and Management of patients living with HIV. He has experience as a Clinicians in Infectious Diseases and Tropical Medicine (Sudan, Thailand, Burundi); several phase II, III and IV studies in antiretroviral treatment trials. His main field of interest is the clinical pharmacology and pharmacogenetics of anti-infective agents (antiretroviral, antibiotic, antifungals) and the central nervous system complication of HIV-infection. Elizabeth de Lange, PhD, is Head of Division of Pharmacology at the Leiden Academic center for Drug Research (LACDR), Leiden University, the Netherlands. Her ultimate aim is to aid in the prediction of the dose-response relationship of CNS drugs in the clinical setting on the basis of preclinical data (translational research) by identification and characterization of the rate and extent of systems processes that govern the dose-response relationship of CNS drugs in health and CNS disorders. This includes not only BBB transport but also intra-brain distribution of drugs and associated CNS effects. To that end, Elizabeth de Lange’s group combines comprehensive preclinical experimentation (intracerebral microdialysis, EEG monitoring, PET scanning, etc) with advanced mathematical modeling. She provides general pharmacokinetic and BBB lecture series for Bio-Pharmaceutical Sciences Students. Furthermore, Dr de Lange has been the cofounder and (co-)Chair at the 1st, 2nd and 5th of the series of International Symposia on Microdialysis in Drug Research and Development. She has been the Chair of the Organizing Committee of the 9th International CerebroVascular Biology Conference, held in Leiden, The Netherlands, in 2011. Furthermore, she has been the chair of the Microdialysis Focus Group (2005-2007), of the Pharmacokinetics Pharmacodynamics and drug metabolism (PPDM)(2012)section, and OF the Annual Meeting Programming Committee (AMPC) (2014) of the American Association of Pharmaceutical Scientists (AAPS), With her company In Focus (www.infocus-ecmdelange.nl) she provides courses, training and advice within her area of expertise on microdialysis, PK, PKPD, BBB, and intra-brain distribution. Krisztina Herédi-Szabó, PharmD, PhD, has a degree in Pharmacy from the University of Szeged, Hungary. She has earned her PhD in the field of peptide chemistry and cell biology at Creighton University, Omaha, Nebraska, USA in 2005. She has joined Solvo Biotechnology in 2006 and started working in the field of transporter proteins. She was involved in the development of several transporter assays that are now available as products and services. She is an author of 21 scientific publications and presented her group’s work at several international conferences. Her current position is Head of Service laboratory at Solvo Biotechnology, Szeged, Hungary. Dr. Gerrit Jansen obtained his PhD degree in Biochemstry at the State University of Utrecht, The Netherlands in 1984. From 1985-1990 he held a post-doctoral position at the Utrecht University Medical Center (Dept. of Oncology). In 1991 he moved to the VU University Medical Center in Amsterdam (Dept. of Medical Oncology). From 1992-1994 he was a recipients of a fellowship of the Royal Netherlands Academy of Arts and Sciences, which was followed by a senior postdoctoral position at the VU University Medical Center (Dept. of Medical Oncology). 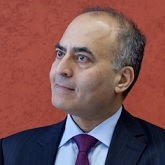 In 2001 he moved to the Department of Rheumatology (currently Amsterdam Rheumatology and immunology Center) at the VU University Medical Center to become head of the laboratory for experimental rheumatology. Dr. Jansen’s main research interest focuses on molecular mechanisms of drug resistance, with a special interest for resistance mechanisms to classical (e.g. antifolates) and experimental drugs from an anti-inflammatory and anti-cancer perspective. 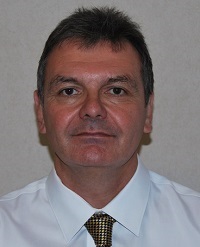 Dr. Gerry Kenna is a Drug Safety Consultant based in Cheshire, UK. He has extensive experience of safety assessment of pharmaceuticals and other chemicals and of toxicity testing and of mechanisms that underlie human adverse drug reactions, most notably liver toxicity. This was acquired while working as Scientific Director of FRAME (the Fund for the Replacement of Animals in Medical Experiments; www.frame.org.uk); in industry for AstraZeneca, Syngenta and Zeneca; and in academia at Imperial College School of Medicine, London UK; National Institutes of Health, MD USA; King’s College Hospital Medical School, London UK and the National Institute for Medical Research, London UK. Dr. Kenna continues to be actively involved in research on the mechanisms which underlie human adverse drug reactions and on the development and implementation of novel predictive safety screening strategies that take account of hepatobiliary transporter inhibition, metabolic bioactivation and immune responsiveness, plus PBPK-based in vitro/in vivo exposure scaling. He is also committed to implementation of improved human safety testing strategies that reduce, refine and replace a need for procedures on animals. Dr Kenna received a BSc in Biochemistry from the University of Leeds UK and a PhD in Biochemistry from the University of London UK. He has authored or co-authored >100 scientific publications and is a member of the International Society for the Study of Xenobiotics, and a Fellow of the British Toxicology Society. 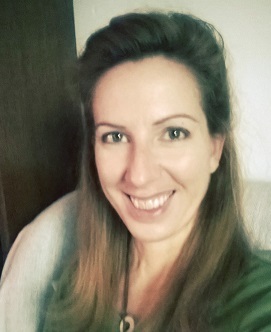 Anna Klukovits has over 16 years’ experience working in the field of experimental pharmacology. She received her Ph.D. in Clinical Medicine while studying the neural regulation of uterine functions during pregnancy in the rat. Started to work as Assistant Professor at the Department of Pharmacodynamics and Biopharmacy, at University of Szeged, Hungary and focused on finding potential new targets to treat premature birth. She spent 12 months as a visiting professor at Miller School of Medicine, University of Miami (FL) while conducting cell-based studies as well as in vivo animal studies in experimental oncology, in the research group of Nobel-laureate Andrew V. Schally. Anna joined SOLVO Biotechnology as Study Manager in 2012, now working as member of the European Market Group, where she is responsible for providing scientific consultation and coordinating contract research services with European Customers. She is the author of 20 research papers including reviews and of numerous presentations. Stefanie D. Krämer is Adjunct Professor for Biopharmacy at the ETH Zurich (Switzerland). She studied Pharmaceutical Sciences at the ETH Zurich and after some practice as a pharmacist in a public pharmacy got her Ph.D. in natural sciences at the ETH. She strengthened her expertise in physico-chemical compound characterization and blood-brain barrier models during post-doctoral stays at Sanofi Recherche in Montpellier (F) and King’s College in London (UK). Back at the ETH, she habilitated in 2007 in Biopharmacy (Drug Interactions with Lipid Bilayers and P glycoprotein) and is since 2009 involved in Radiopharmacology/Preclinical PET of Radiopharmaceutical Sciences at the ETH. Main research interests of Stefanie Krämer are kinetics of drug-lipid bilayer and transporter-mediated permeation, characterization of ADME (Absorption, Distribution, Metabolism, Excretion) properties of drugs and PET tracers, preclinical PET, in particular PET kinetic modeling and imaging of inflammatory processes. She teaches Biopharmacy/Pharmacokinetics (lecture and practical) and Biotransformation of Drugs and Xenobiotics (lecture) at the ETH. She co-authored the two-volume text book The Biochemistry of Drug Metabolism (Wiley) and has published more than 80 research papers. She wrote the Java applications PharmaCalc v02 and PharmaCalcCL to simulate plasma-concentration time curves (available on www.biopharmacy.ethz.ch). Sanjeev Krishna has developed new diagnostic approaches for infections and increased understanding of their pathophysiology as well as improving treatment modalities. His research has focused on infectious disease, particularly malaria, with a special interest in transporter proteins – the targets of existing antimalarial drugs as well as potential new drug targets. His wide-ranging research has spanned clinical trials of antimalarial treatments, mechanisms of drug resistance, and identification of the likely target of the current first-line antimalarial treatment, artemisinin. He has also identified transporter proteins as valid targets for new drug development. His research has fed into international guidelines on malaria treatment and global surveys of antimalarial resistance. He also has a strong interest in diagnostics, and, in developing an affordable point-of-care diagnostic device for drug resistance as well as identifying infections. More recently he is studying how to repurpose artemisinins (the discovery of which one this years Nobel Prize in Medicine) as cheap, safe, effective and affordable treatments for cancers. Mr. McGeehan joined Ascendance Biotechnology, Inc. (“Ascendance”) (formerly Hepregen Corporation (“Hepregen”)) in March, 2009. During Hepregen‘s start-up phase, Mr. McGeehan was responsible for successfully scaling-up the company’s micropatterned co-culture technology, which was exclusively licensed from the Massachusetts Institute of Technology (“MIT”). In addition to being responsible for all operations and scientific groups at Ascendance, Mr. McGeehan is currently engaged in driving the commercialization of the Hepregen® line of application-directed assay kits and associated services worldwide. Mr. McGeehan has more than 25 years of technical and management experience in the biotechnology industry. He was a co-founder of ActiMed Laboratories, Inc. (“ActiMed”), a medical device company. As vice president of operations at ActiMed, Mr. McGeehan guided the development, scale-up, manufacture, and clinical trials, of the ENA•C•T® Total Cholesterol test. Prior to ActiMed, Mr. McGeehan was employed in positions of increasing responsibility at a division of E. Merck. At E. Merck, he managed the construction and start-up of a $1 million dry powder manufacturing facility. He leveraged the company’s fluid bed granulation technology into five distinct diagnostic reagent product lines, taking over 100 products to successful market introductions. Mr. McGeehan was also a founder of Innova Medical Technologies, Inc., providing general consulting and product development services to medical products companies. Mr. McGeehan holds a B.A. in biology from Millersville University and a M.S. in biomedical engineering from Drexel University. He is named as an inventor on seven US patents, including a key patent that provides tools essential to the routine, reproducible and economic manufacturing of the Hepregen line of high quality HepatoPac® and HepatoMune® products. Hanan Osman-Ponchet is currently a Metabolism Manager in the Department of Drug Metabolism and Pharmacokinetics at Galderma R&D in Sophia-Antipolis (France). Hanan has an MSc in Toxicology and Pharmacology and a PhD in Biochemistry, Cellular and Molecular Biology obtained at the University of Burgundy in France. Dr. Osman-Ponchet has worked in drug development for over 15 years. She first joined the pharmaceutical industry in 2002, initially at Sanofi, Paris area, where she was a Manager of in vitro Drug Metabolism and Absorption. She joined Galderma R&D in 2007, and led the development of in vitro technologies to predict drug metabolism, drug absorption and drug-drug interactions in both hepatocytes and skin. Hanan has more than 15 years of experience in in vitro DMPK and has expertise in drug transporters (intestinal and cutaneous absorption), drug metabolism (liver and skin) and drug-drug interactions. Hanan’s research interests include in vitro methodologies for prediction of drug-drug interactions at metabolism and transporter levels and imaging techniques for assessment of drug distribution in the skin. Hanan has authored and coauthored more than 30 research publications and patents, and has given invited oral presentations at several different scientific conferences. Dr. Osman-Ponchet is an expert in the area of drug metabolism and drug transporters in human skin. Mohammed Ullah has a long standing interest in the area of Drug Transport. After his Bachelor’s degree in Biochemistry, he pursued his Ph.D. in collaboration with AstraZeneca, where he studied the role of transporters in immunological and metabolic disease. 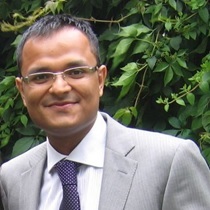 Mohammed embarked on his Industrial career at Pfizer (UK), where he was based in the area of DMPK. 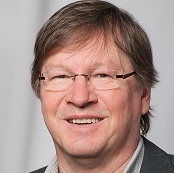 Currently, he is the Head of the Cellular Transport Group (ADME) at F. Hoffmann-La Roche (Basel, Switzerland). 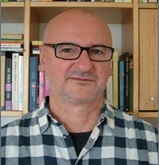 Professor Stephan Urban is head of the Translational Virology unit at the Department of Infectious Diseases, Molecular Virology at Heidelberg University Hospital. He is also Professor at the Faculty for Biosciences at the University of Heidelberg and Project Coordinator in the DZIF TTU Hepatitis. He completed a Diploma in Biochemistry at the University of Tübingen in 1991 and was awarded a Ph.D. in 1995 under Prof. Dr. P.H. Max-Planck-Institut für Biochemie, Martinsried and undertook Postdoctoral research at the Centre for Molecular Biology (ZMBH), Heidelberg University with Prof. Dr. H. Schaller. Between 2008 and 2012 he was Project coordinator of the BMBF-network "Innovative Therapies” and from 2011 Project coordinator in the DZIF TTU hepatitis. In 2014 he was awarded with the 1. DZIF Research Award. 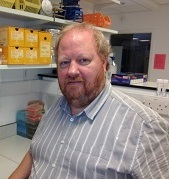 Professor Urban’s research interests include Molecular mechanisms of Hepatitis B- and Hepatitis D Virus/host interactions with a focus on the early and late events of viral infection; Identification of hepadnaviral receptors and structural analyses of virus receptor interactions; Development of novel cell culture systems and animal models for HBV and HDV; Clinical development of entry inhibitors for HBV and HDV infection; Development of hepatotropic drugs for the therapy of liver diseases. Between 2008 and 2014 Professor Urban has published in numerous peer reviewed journals on Hepatitis B, C and D. He is the recipient of the Pettenkofer Price of the Pettenkofer Foundation, Fellowship of the Heinz Schaller and Chica Foundations and Study Foundation of the German People Awards. Joe Zolnerciks has over 12 years’ experience working in the field of drug transporters and membrane protein biochemistry. He received his Ph.D. in Biochemistry while studying the structure and function of ATP-binding cassette (ABC) transporters in the laboratory of Chris Higgins and Kenny Linton at Imperial College London. This was followed by postdoctoral fellowships in the Department of Pharmaceutics, University of Washington, and Queen Mary University, London, as well as a FEBS Short-Term Fellowship at the Biozentrum, University of Basel, Switzerland. His research focused on the biochemistry of ABC transporters, transporter-mediated drug-drug interactions and toxicity, and the role of transporters in pharmacokinetics. Joe joined SOLVO Biotechnology as Head of Production in 2012, before being promoted to his current position as Director, ADME-Tox Services, where he is responsible for providing scientific consultation services, supporting business development, and managing the North American sales team. 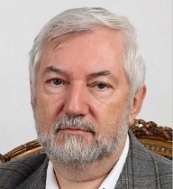 He is the author of over 25 research papers, reviews, book chapters, and presentations in the field of drug transporters and drug-induced toxicity. Here you can check the Agendas of the past conferences. Laboratory Training on 11 May: Download here the Final Agenda! Conference on 12 and 13 May: Download here the Full Agenda! Laurent Salphati, Genentech: Humanized Animal Models - Potential Tools for the Study of Drug Transporters?